First breakfast in Hong Kong ! My stomach was empty because I ate just a bit in the airport lounge around 5 a.m. So, I was waiting for restaurants’ opening time ! It was around 10 a.m. 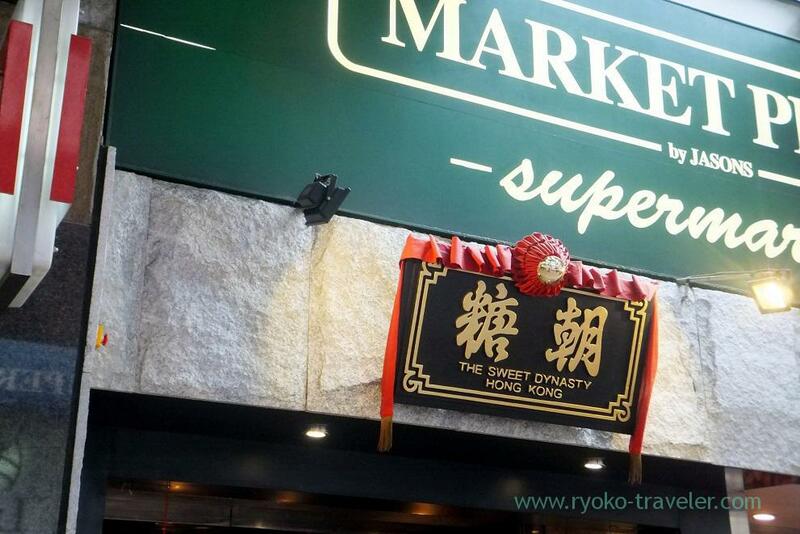 I came to The Sweet Dynasty (糖朝). The restaurant is on the underground. There were already many people. To tell the truth, I came to there 30 minutes before once. But it wasn’t open. Anyway, I could be seated soon. There were still many vacant seats there. 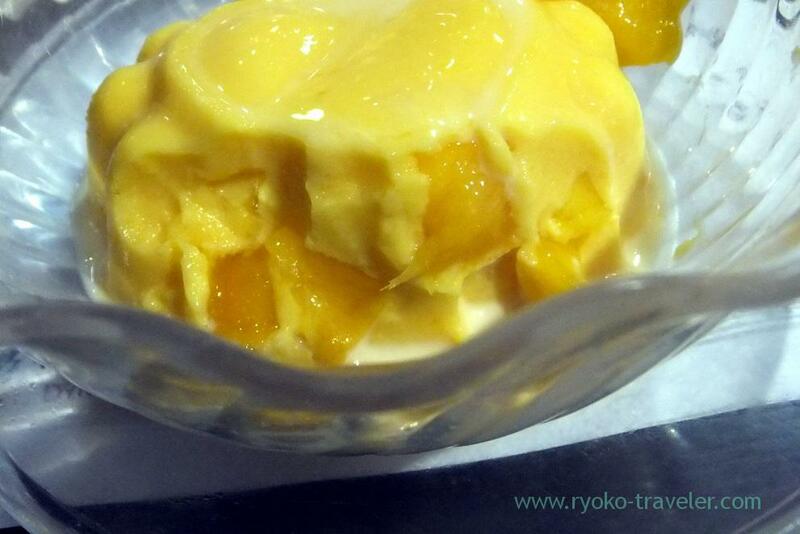 The Sweet Dynasty is well known as dessert made from mango. Prices of foods are lower than prices on the menu at lunchtime. 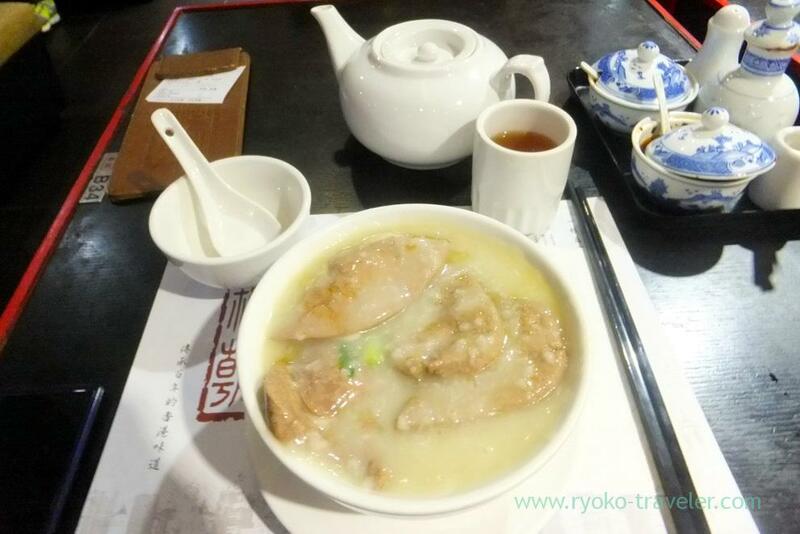 I ordered rice porridge with pork liver (巧製黄沙猪肝粥, 62 HKD). Though the liver was soft and tasty. There was no bad smells. But I should have eaten those livers soon. 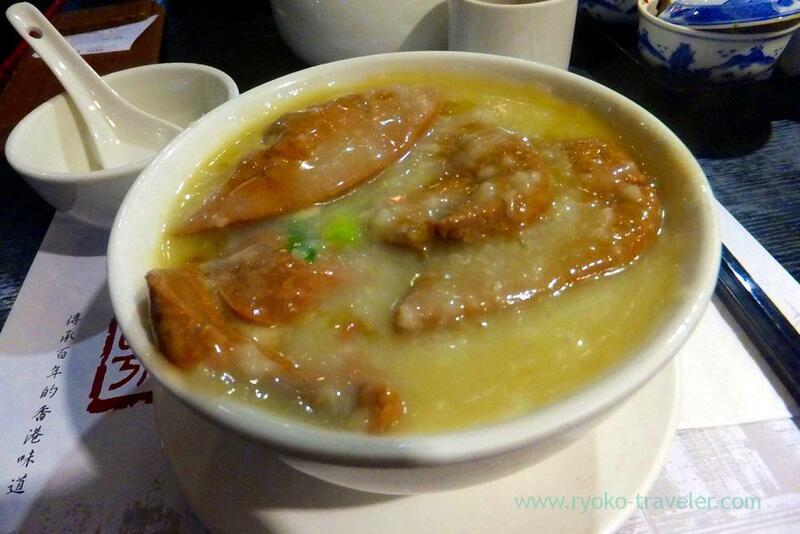 I think extracts of pork liver don’t go with rice porridge. 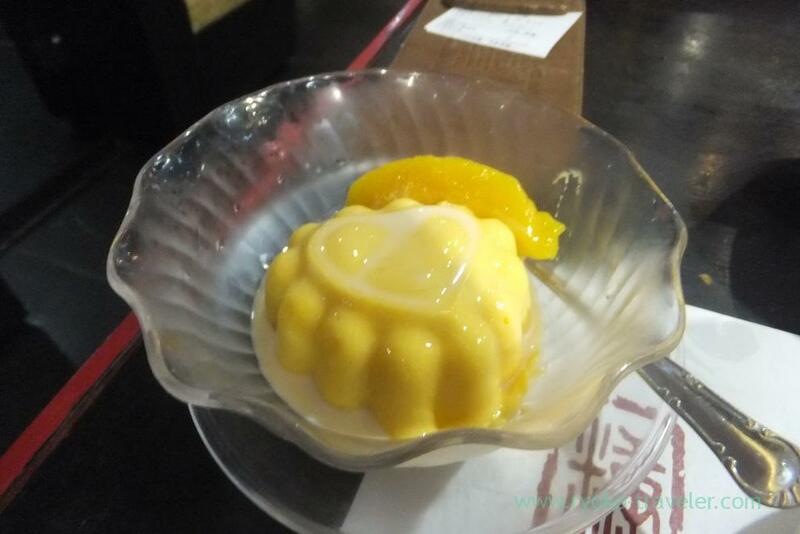 And mango pudding (芒果凍布丁, 32 HKD). Of course, I ate it. It’s the most popular dessert in The Sweet Dynasty. The section of pudding. Many cubes of mango in it 🙂 Of course, it was delicious. I ate it up soon ! 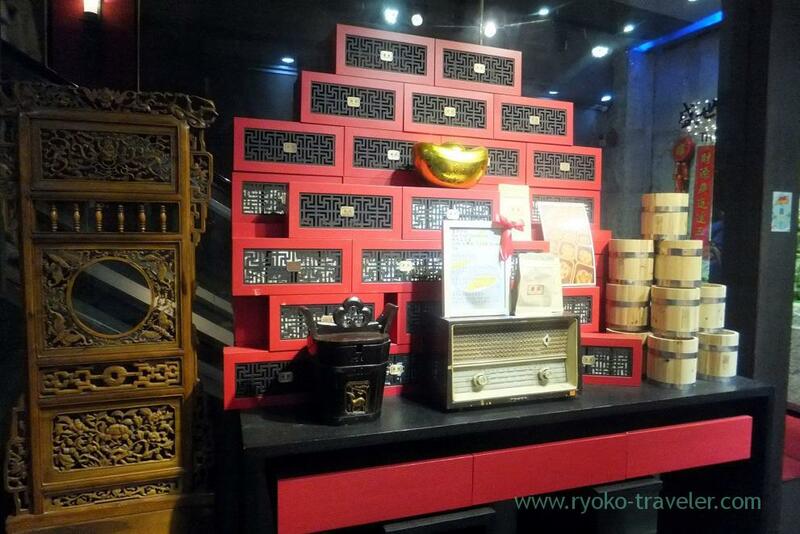 Total amount included tea fee (12 HKD). 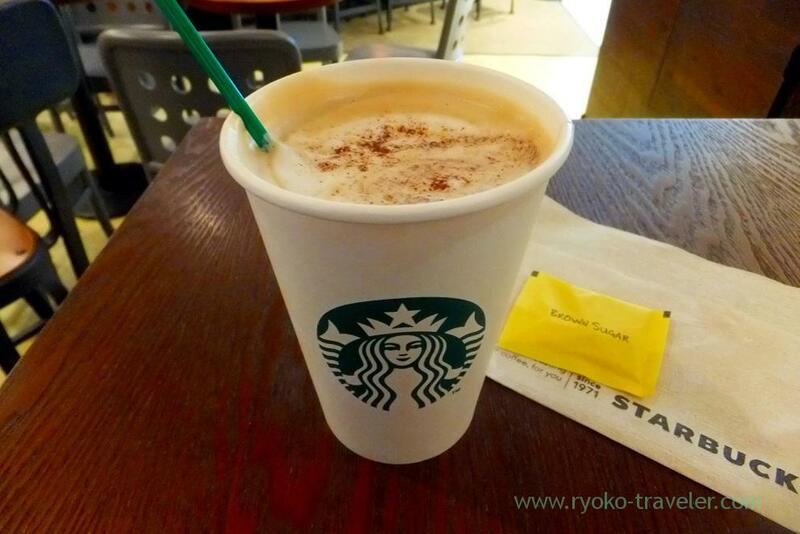 Then, I killed time at Starbucks and planned to do afternoon before the check-in time of my hotel.